They say good things come in small packages. 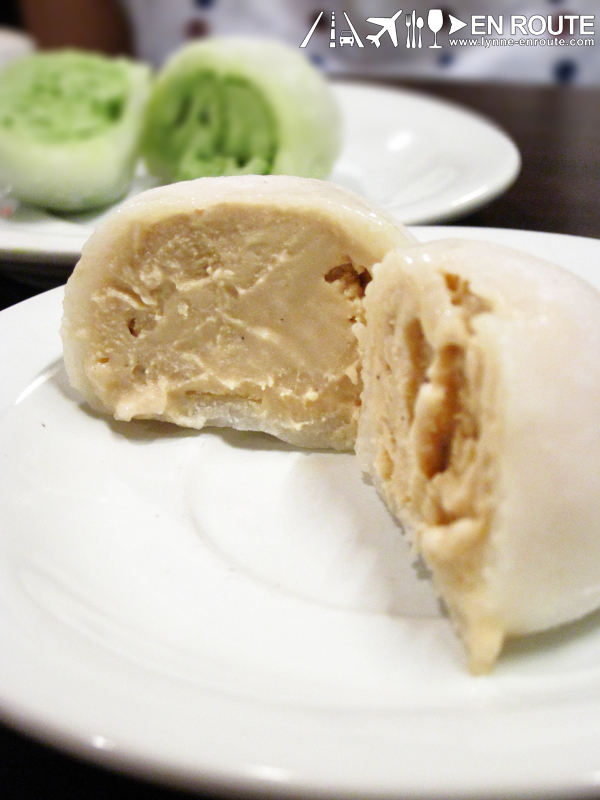 How about little, chewy mochi balls filled with yummy ice cream flavors? Sounds delicious? Read on. Thanks to the folks at the weekend food haven that is Mercato Centrale, we were able to discover Dezâto Mochi Café. While the mochi is the undisputed star of their menu, Dezâto Mochi Café actually offers an extensive list of dishes for those who are after a nice and quiet meal beyond just dessert. 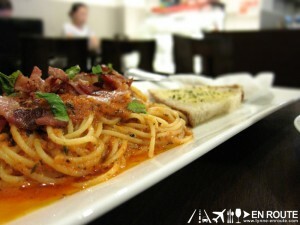 Enjoy your meal against the backdrop of dessert-themed paintings done by the kids (or was it nephew and niece?) of the owner. 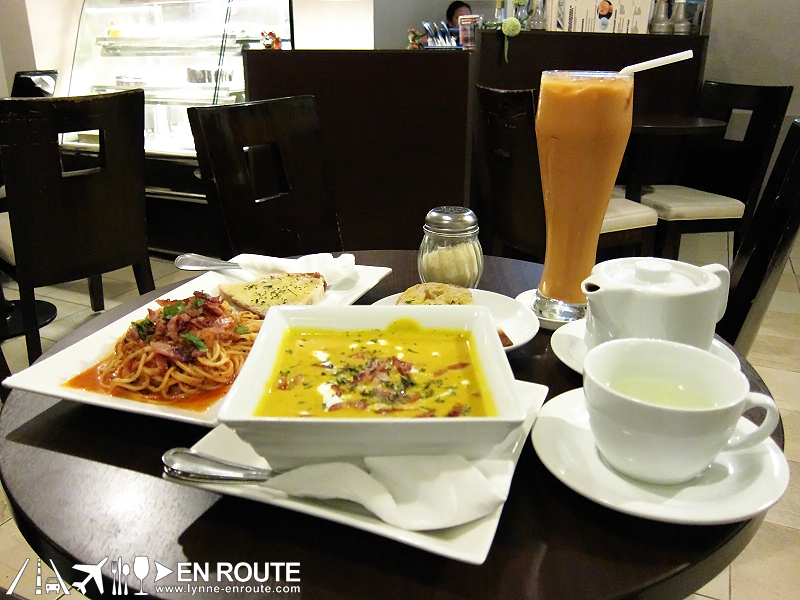 We began with an appetizer of Squash Soup (Php120). You know what makes their version of plain squash soup a lot heartier and just superbly awesome? Bacon. (Genius, I know.) For the main dish, we heard their pastas were good so we sampled the Spicy Tomato with Tomato Cream (Php195). What do you know? More bacon. 😀 And when they said it was spicy, the dish was HOT! Good thing we had some Thai Iced Tea to quell the zing. A pot of green tea with roasted brown rice also kept us company throughout dinner. It was nice mix of flavors in between bites and gulps. Finally, the moment to indulge on mochi came. According to Dezâto, mochi is a treat that was born from a Japanese New Year’s tradition, the ancient tradition of Mochi-tsuki (mocha making). The glutinous rice is formed into balls once they’ve reached the desired consistency. 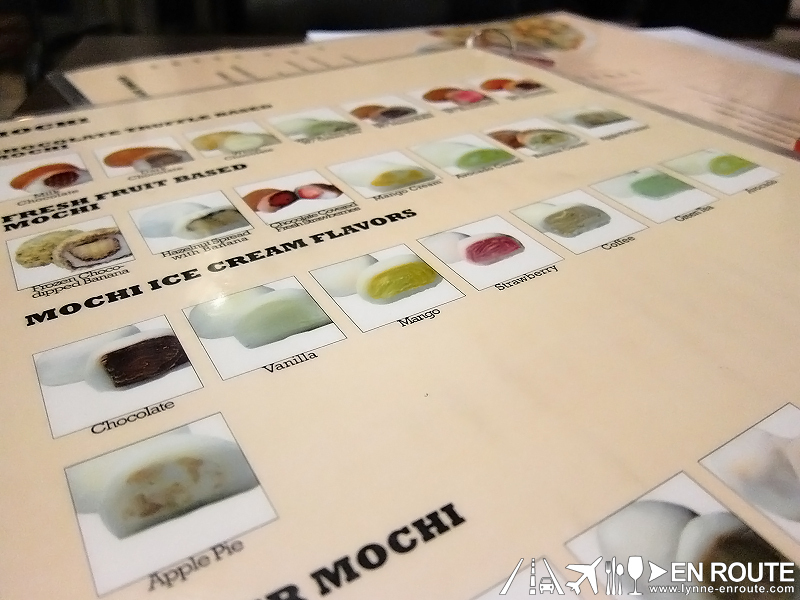 We know that the yummy factor of mochi is in the chewiness. 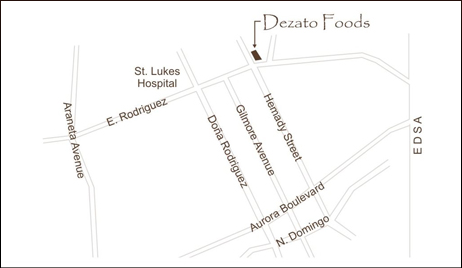 And what Dezâto has done is experiment with different flavors that they can coat over them like chocolate truffle and nuts (mmm…chocolate). And of course, what could go inside a smooth, thin layer of mochi. Ice cream. Buy a box of six Mochi Ice Cream for only Php75.00 each. 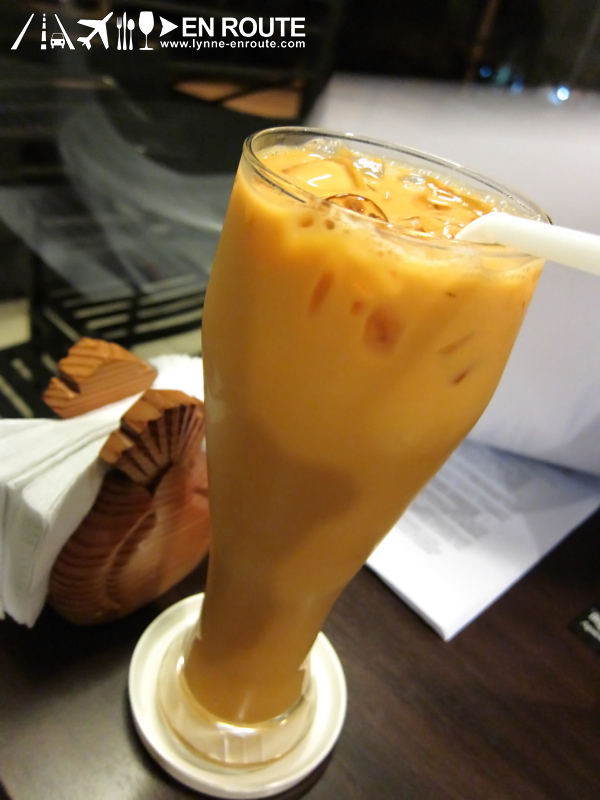 Our favorites include the green tea and coffee. 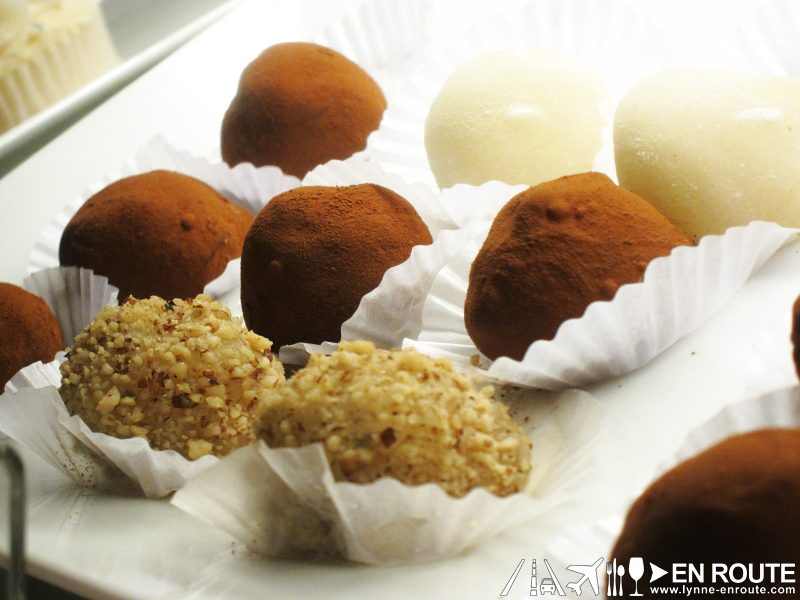 For a sampler from the Chocolate Truffle-based Mochi or Fresh Fruit-based Mochi, get four for Php45.00 each. Compared to the ice cream versions though, these are bite-sized goodies so you might find yourself craving for some more just after popping them into your mouth. Oh, they did mention that the Chocolate-covered Fresh Strawberries mochi need to be ordered a day in advance. At least we know they like to keep the fresh promise. 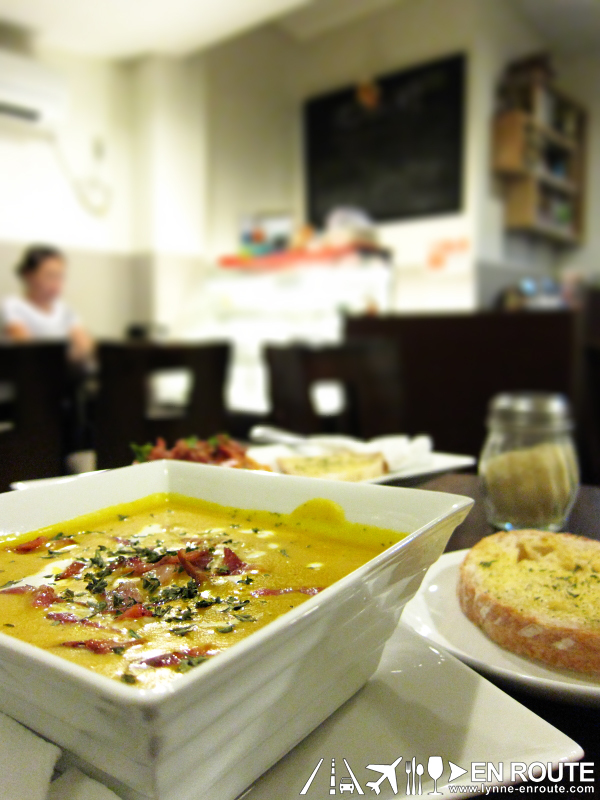 As mentioned, they frequent Mercato Centrale but they also have a stand-alone café in Hemady, New Manila. Here’s a screen grab of the map from their website to help you navigate. It’s in a pretty quiet neighborhood and parking is just along the street. If you’re after some peace and quiet, you can easily tote your laptop and head over because they also offer free wi-fi! When you get the chance to visit, don’t forget to spread to love for mochi with other people! 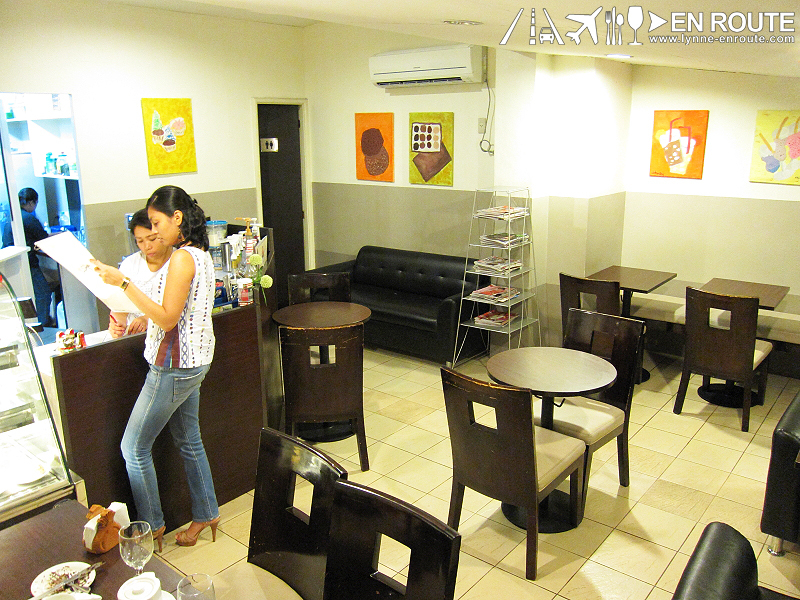 Dezâto Mochi Café is located at 100 Hemady St. New Manila, Quezon City. 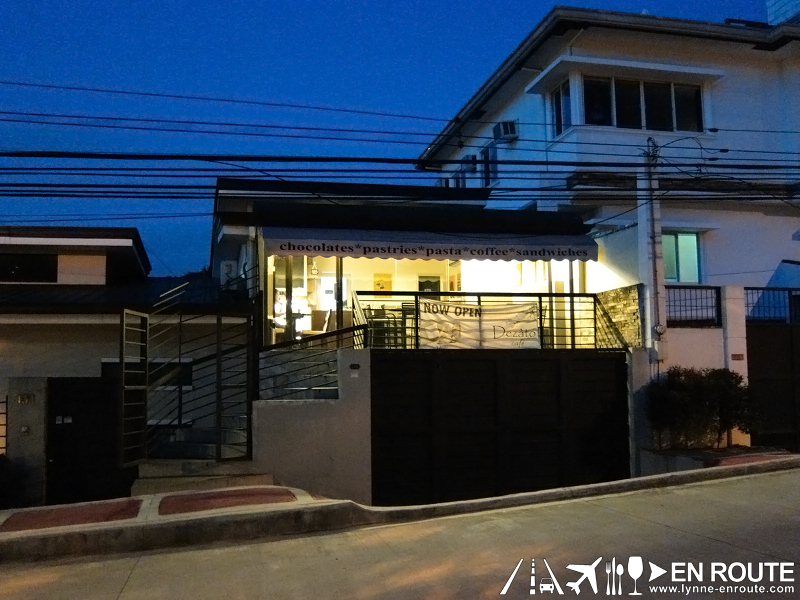 You can also contact them via phone: 02 727 1229 or E-mail: dezatomochi@gmail.com. Check out their website, follow them on Twitter (dezatomochi) or join their Facebook group (Dezato Cafe). Actually, now that I’ve thought about it, if we get the whole Gluttony Society here, we can fill up the whole place!